Beware salmon lovers. You may want to avoid eating sushi after reading this. First, we reported that Puget Sound salmon contained cocaine, prescription drugs and other contaminants. Now, it turns out, a certain type of tapeworm has infected North American salmon. Previously thought to only infect fish in Asia, this parasite can now be found on salmon from Alaska and the Pacific coast. So, how do you protect yourself and what do you do if you suspect you have a parasite? If the thought of consuming parasites makes you sick to your stomach — listen up. A report from the Centers for Disease Control and Prevention (CDC) regarding the Japanese broad tapeworm, Diphyllobothrium nihonkaiense, was recently published in the journal Emerging Infectious Diseases. 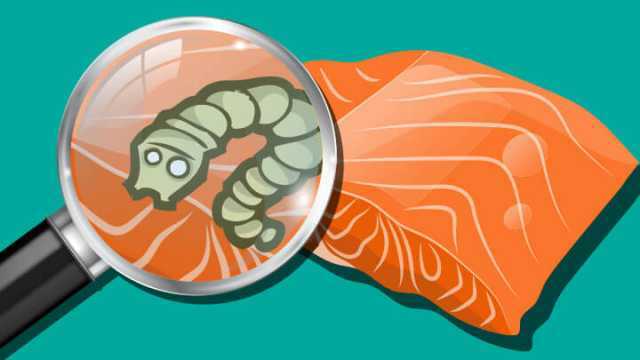 Although previously found only in Asian fish, this tapeworm has been spotted on salmon readily available in the U.S. and Canada. The Japanese tapeworm, discovered in 1986, was considered the second most common type of tapeworm at the time. Previously, all reported cases of Japanese tapeworms were in Japan, South Korea and the Pacific coast of Russia. But then, a 2013 American study found them living in Alaskan salmon. Now it seems the tapeworm has spread to four species along the Pacific coast: chum salmon, masu salmon, pink salmon and sockeye salmon. These types of salmon are widely exported on ice all around the world. Thus, scientists predict that no country is safe from infections. If you’ve ingested tapeworm eggs or larvae, chances are you’re infected. The problem is many people with intestinal tapeworm infection show no symptoms. Tapeworm eggs can be microscopic and you may not even know you’ve ingested them or from what source you’ve been infected. Once inside your intestines, the eggs develop into larvae and become mobile. If they migrate out of your intestines, they can form cysts in other tissues like your lungs, central nervous system or liver. Japanese tapeworms can grow up to 30 feet long, says the CDC. And adult tapeworms can live for almost 30 years inside of a host. While intestinal tapeworm infections are usually mild, invasive larval infections can cause serious complications, suggests the Mayo Clinic. Eating raw or undercooked salmon places you at high risk for infection. Some tapeworms attach to the walls of the intestines, causing irritation or mild inflammation. Still others may pass through to your stool and exit your body. If you believe you have an intestinal parasite like the Japanese broad tapeworm, your first course of action should be a visit to your doctor for testing. Ask for a complete parasitic panel, including a stool study, if you have symptoms of chronic inflammation or poor digestion, suggests Dr. Susan Evans for the Dr. Oz Show. A doctor will likely prescribe medication. The most common treatment may involve oral medications that are toxic to the adult tapeworm. Tapeworms and other intestinal parasites can be eliminated or at least kept at bay with coconut oil. In fact, coconut oil is one of the best natural medicines you can use. It’s loaded with medium-chain triglycerides that help expel parasites from your body. It’s also high in both lauric acid and caprylic acid, which possess antiviral, antimicrobial and antifungal properties. Eat four to six tablespoons of extra virgin coconut oil daily. Researchers have found that eating dried coconut is even more effective than coconut oil in expelling parasitic worms. Getting rid of parasites by eating coconut meat is a traditional practice in India and other coconut producing countries where parasites are common. In his book “Coconut Cures,” author Dr. Bruce Fife, certified nutritionist and naturopathic physician, recommends eating two and a half cups of dried coconut to purge parasites. Since that may be difficult for some, he suggests making a porridge with water, prunes, honey and cloves. 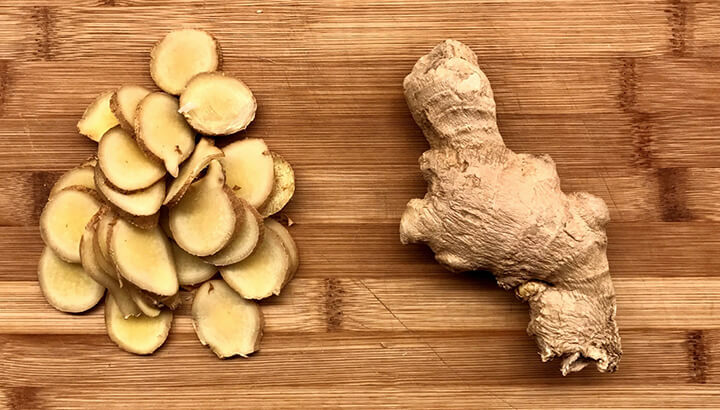 Ginger is a good staple to include in your diet. It has long been used in Africa and India to treat parasites. Ginger is well known to provide relief for nausea, as well as cleanse the liver and colon from a buildup of toxins. Anti-parasitic herbs such as wormwood bark, may help treat parasite infestation. In the book “Medical Herbalism: the Science and Practice of Herbal Medicine,” author and herbalist David Hoffmann recommends wormwood for certain types of parasites, including roundworm and pinworm. Raw garlic has anti-parasitic sulfur-containing amino acids. Additionally, the antibacterial, antifungal and antiseptic properties in garlic help kill microbes in the body. Although not tested specifically on tapeworms, one Turkish study found that raw garlic effectively killed intestinal parasites in mice. Eat three cloves of raw garlic on an empty stomach every day for one week. This is one of the simplest ways to kill parasites. Papaya has been used widely in Ayurvedic medicine for treating intestinal worms. A Nigerian study found that honey and papaya seeds cleared stools of parasites in 23 out of 30 subjects. The latex from unripe papaya fruit is rich in the enzyme papain, which has anthelmintic properties that effectively destroys infestation. Additionally, papaya seeds contain caricin that can help expel these nasty parasites. 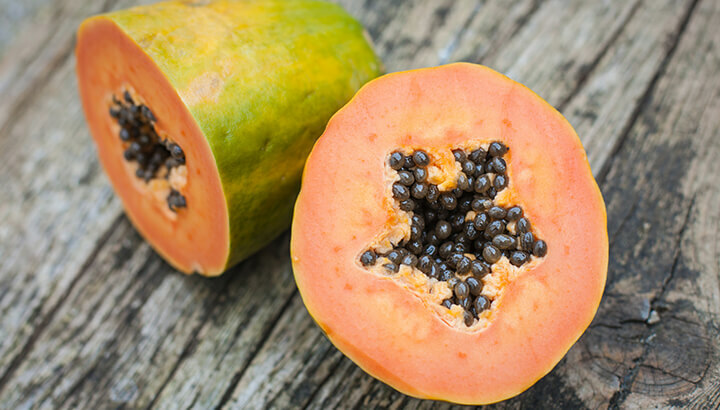 Make a smoothie by grinding papaya seeds taken from one medium papaya. Add one tablespoon of coconut oil and one cup of coconut milk. Add papaya chunks from an unripe (green to yellow) papaya. Blend well and add one tablespoon of raw honey. Blend again until smooth. Drink each morning, for one week. Follow by drinking plenty of water to help flush out your system. Consuming pumpkin seeds is another effective way to combat intestinal parasites, suggests the University of Maryland Medical Center. The compound cucurbitacin, found in pumpkin seeds, has anti-parasitic properties that can paralyze the parasites. This prevents them from binding to the intestine wall, thus eliminating them from the body. Mix one tablespoon of roasted and crushed pumpkin seeds with one tablespoon of raw honey. Eat this mixture each morning on an empty stomach for a week. Then include a high-fiber, laxative-type food such as berries in your breakfast, to help expel the parasite. A Brazilian study found clove to be a larvicidal agent. That means, besides having antiseptic and bactericidal properties, they are also anti-parasitic. Cloves help destroy parasitic eggs and kill intestinal worms. Additionally, cloves may help prevent future episodes of infestation. Add one teaspoon of ground clove to a cup of hot water. Allow to steep for 10 to 20 minutes. Drink three times per day for one week. For maximum results, use freshly ground cloves. Turmeric is an excellent natural remedy for intestinal worms. 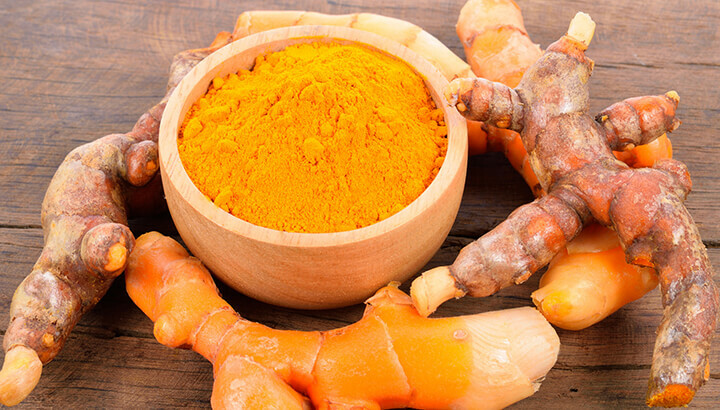 Curcumin, the powerful active compound in turmeric, works as an internal antiseptic and contains antimicrobial properties that help destroy intestinal worms, according to a study published in Research Gate. Additionally, turmeric can help relieve several of the common symptoms associated with intestinal worms. Drink one teaspoon of freshly extracted turmeric juice with a pinch of salt in the morning on an empty stomach. Repeat daily for a week. You may also add half a teaspoon of turmeric powder and a pinch of salt to half a cup of warm water. Drink each day for one week. You can prevent tapeworm infection by cooking your salmon thoroughly. Assuring it is cooked all the way through will kill any tapeworm eggs or larvae that may be present. It is also sensible to do this when cooking other meats, such as venison or rabbit. Never allow raw fish to come into contact with cooked meat or fish. A plate containing raw salmon should be washed well before it is used for any other food. Meanwhile, you may want to avoid eating raw salmon in dishes like sushi until this situation is well under control. Hey Buddy!, I found this information for you: "First Cocaine, Now Tapeworms Found In North American Salmon". Here is the website link: https://www.thealternativedaily.com/gross-tapeworm-salmon/. Thank you.